Routledge has a new book out now on Visual Environmental Communication, edited by Anders Hansen and David Machin. 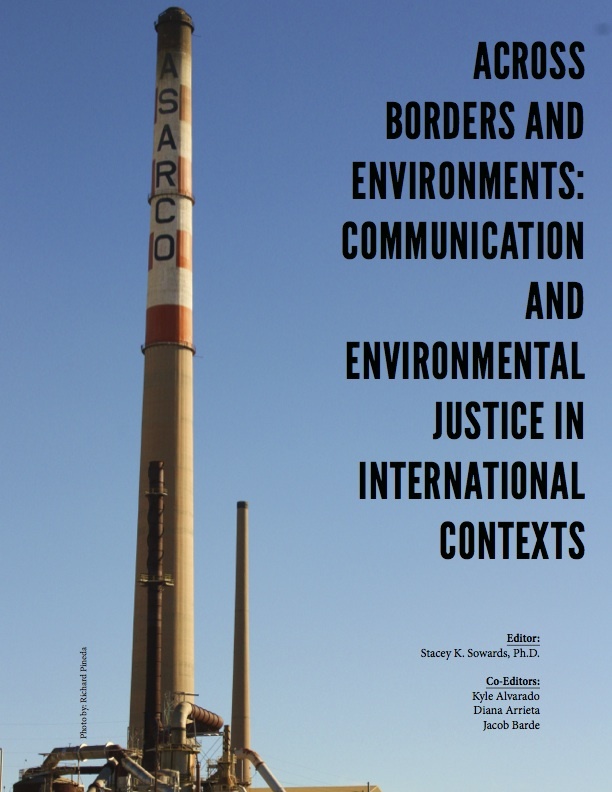 The book contains a number of papers that were part of a special issue of Environmental Communication. My paper with Bruno Takahashi, “The Nature of Time: How the Covers of the World’s Most Widely-Read Weekly News Magazine Visualize Environmental Affairs” is included in the book. Bruno Takahashi & Mark S. Meisner “Agenda Setting and Issue Definition at the Micro Level: Giving Climate Change a Voice in the Peruvian Congress,” Latin American Policy, 4(2). 340-357, 2013. Agenda setting and policy formulation processes, including those involved in global issues such as climate change, have been a focus of continuous research during recent years. However, most studies have taken a broad longitudinal perspective, with limited emphasis on the individual level decision-making that can better explain the broader dynamics thoroughly tested in the past. This study presents an analysis at the micro level that uncovers specific instances of individual decision-making within an information-processing framework. Additionally, little is known about how climate change is defined in developing nations that are highly vulnerable to its effects. Therefore, this micro level analysis focuses on national legislators and advisers in the Peruvian Congress. This paper presents a detailed narrative of the processes of formulation of several climate change bills and the development of a special committee on climate change and biodiversity in the 2006-2011 legislative period in the Peruvian Congress. The study discusses the role of policy entrepreneurs, the influence of limited or inaccurate information, and the competition with other policy issues, through an analysis of in-depth interviews with these legislative elites. The results show the significant influence of media reports and Internet use in a low information environment. 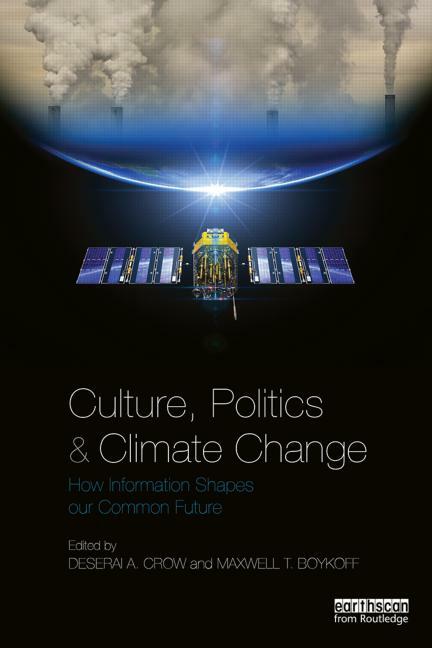 Bruno Takahashi & Mark S. Meisner “Re-examining the Media-Policy Link: Climate Change and Government Elites in Peru,” Chapter 6 in Culture, Politics & Climate Change: How Information Shapes our Common Future, Edited by Deserai A. Crow and Maxwell T. Boykoff. London: Routledge, 2014. The ways in which the mass media report on policy and scientific issues such as climate change have an influence on the attention to–and understanding of–such issues by decision makers. However, the study of such influence has been quite limited. This chapter is motivated by this gap in the literature, as well as by limited research about media and climate change in developing countries. We want to understand the ways in which media coverage of climate change interacts with individual traits (e.g. values, knowledge, attitudes) of national legislators in Peru, and how such interaction influences the design of policies. Additionally, it focuses on the circumstances that allow such effects to occur. The results reveal that a low policy information environment, coupled with issue attributes, enables both the media and alternative sources of information such as the Internet to play an important role in shaping how legislators perceive the issue and act upon it. In a highly vulnerable country such as Peru, the need to increase information of local issues related to climate change is necessary. Mark S. Meisner & Bruno Takahashi “The Nature of Time: How the Covers of the World’s Most Widely-Read Weekly News Magazine Visualize Environmental Affairs,” Environmental Communication: A Journal of Nature and Culture, Vol.7 No.2, pp. 255-276, 2013. Scholars of environmental communication acknowledge the importance of visual representations in shaping perceptions and actions in relation to environmental affairs. Unlike with other media, including newspapers, television and film, research on the visualization of nature and environmental issues in magazines is rare. This study focuses on the covers of Time magazine, one of the world’s most influential news weeklies. A data set that includes all relevant covers from 1923 to 2011 is examined using a combination of quantitative and qualitative content analysis to analyze the visual representation of nature and environmental issues. The results show that the presence of environmental issues and nature on the covers has increased over the decades. 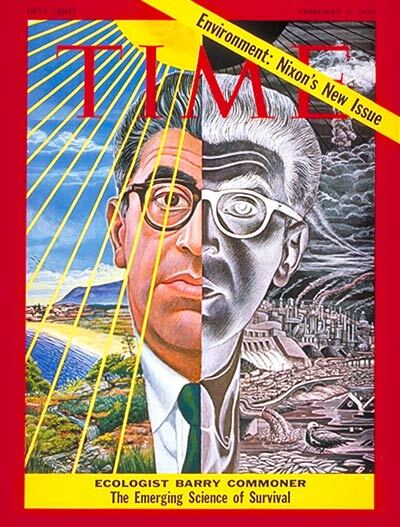 Furthermore Time takes an advocacy position on some environmental issues, but it is a shallow one that is weakly argued through less-than-engaging imagery and fails to offer much in the way of solutions or agency to the reader. Bruno Takahashi & Mark Meisner “Environmental Discourses and Discourse Coalitions in the Reconfiguration of Peru’s Environmental Governance,” Environmental Communication: A Journal of Nature and Culture, Vol.6, No.3, 346-364, 2012. Environmental discourses are considered precursors to policy decisions as they delimit the range of policy options. The mass media are an important arena for those discourses and the discourse coalitions engaged in struggles to define policy and political issues. The study of such discourses requires an expansion to contexts outside developed countries, but within the influence of global forces, especially in how dominant global discourses influence national policy making. This article focuses on the competing discourses in the debate about the creation of the Peruvian Ministry of the Environment as portrayed by the media and the actors involved in the process. The results show a debate dominated by neoliberal discourses of administrative rationalism and economic rationalism, intertwined with the environmental requirements of a free trade agreement between Peru and the USA. In this case, democratic and environmental justice concerns—from both indigenous rights and anti-hegemonic perspectives—were marginalized. The study presents the operationalization of theoretical categorizations of environmental discourses within the concepts of storylines and discourse coalitions. Ronald E. Rice, Mark Meisner, Steve Depoe, Andy Opel, Connie Roser-Renouf, & Debika Shome “Environmental Communication and Media: Centers, Programs and Resources,” Chapter 11 in Communication @ the Center, ed. Steve Jones, pp.137-155. New York: Hampton Press, 2012. Environmental issues are some of the most global, complex, and significant problems today. They threaten our quality of life, but they are politically polarized and characterized by hyperbole, disinformation, and public skepticism. The media can affect people’s perceptions of the environment (Ader, 1995; Besley & Shanahan, 2004; Corbett & Durfee, 2004; O’Donnell & Rice, 2008) given that many Americans live in urban settings with little direct experience of the outdoors. Media in the broadest sense of the term-including books, magazines, films, television, news, Internet websites, videogames, and podcasts-are for many people a major source of environmental information. Moreover, media appear to play an important role in winning public support for environmental movements (Brulle & Jenkins, 2008). The media’s role as attitude changer is particularly important within the context of contemporary environmental problems, which are perceived to be both abstract and distant (whether in place or time) by many Americans. Public reaction to environmental news also has the indirect effect of generating additional news, hus raising the agenda even more and therefore influencing politicians and policy makers (Dasgupta, Laplante, & Meisner, 2000)…. Bruno Takahashi & Mark Meisner “Mass-Media Coverage of Climate Change in Peru: Framing and the Role of Foreign Voices” in Across Borders and Environments: Communication and Environmental Justice in International Contexts, ed. Stacey Sowards, Cincinnati: International Environmental Communication Association, 2012. Media coverage of climate change has been an area of continued research during the last few years, mostly with a focus on developed countries. 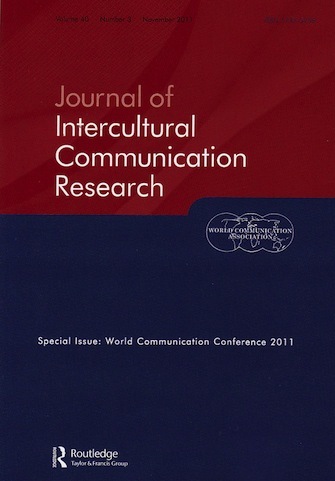 This study attempts to contribute to this body of work by analyzing the coverage in a developing country. The study presents a content analysis of newspaper coverage of climate change in Peru through the study of frames, geographical focus, and climate change strategies (mitigation/adaptation). Additionally, the role of foreign voices is assessed by comparing news coverage by Peruvian reporters with the news coverage by wire services and by determining the types of sources present in the articles. Results show a prevalence of an effects frame, followed by a politics frame. Also, the study found a significant number of stories originating from wire services. In general, coverage prioritizes mitigation strategies and policies while providing limited attention to adaptation, which can be inadequate for a highly vulnerable country. Bruno Takahashi & Mark Meisner “Climate Change in Peruvian Newspapers: The Role of Foreign Voices in a Context of Vulnerability,” Public Understanding of Science, Vol.22 No.4, 427-442, 2013 (first published online February 20, 2012). Media coverage of climate change has been an area of continued research during the last years, mostly with a focus on developed countries. This study attempts to contribute to this body of work by analyzing the coverage in a developing country. 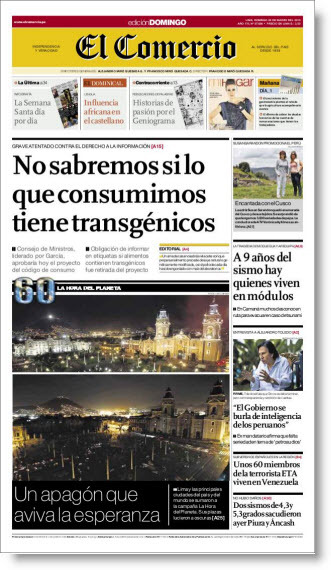 The study presents a content analysis of newspaper coverage of climate change in Peru through the study of frames, geographical focus, and climate change strategies (mitigation/adaptation). Additionally, the role of foreign voices is assessed by comparing the coverage by Peruvian reporters with the coverage by wire services, and by determining the types of sources present in the articles. Results show a prevalence of an effects frame, followed by a politics frame. Also, the study found a significant amount of stories originating from wire services. In general, coverage prioritizes mitigation strategies and policies while providing limited attention to adaptation, which can be insufficient for a highly vulnerable country. Bruno Takahashi & Mark Meisner “Comparing Influences on Peruvian Climate Change Policy: Information, Knowledge, and Concern Among Political Elites,” Journal of Intercultural Communication Research, Vol.40, No.3, 181-202, 2011. Climate change is considered as the most important contemporary global environmental problem. Despite research efforts from the social sciences to understand how individuals perceive the problem, few studies have focused on policy makers, specially in developing countries. This study seeks to determine the similarities and differences between elite government groups in Peru. It focuses on the knowledge about climate change, environmental concern, and sources of policy information, and how these factors affect policy preferences. Studies in other countries reveal that these factors can influence both the prioritization of environmental policy issues and the content of policy proposals.